Berardi A., Bachler M., Bernard C., Buckingham-Shum S., Ganapathy S., Mistry J., Reynolds, M., and Ulrich W (2006). The ECOSENSUS Project: Co-Evolving Tools, Practices and Open Content for Participatory Natural Resource Management. Second International Conference on e-Social Science. 28-30 June 2006, Manchester, UK. Download full paper. Berardi A., Bachler M., Bernard C., Buckingham-Shum S., Ganapathy S., Mistry J., Reynolds, M., and Ulrich W (2006).The development of an open content course on natural resource management: A virtual team production between Guyana and the UK. The International Journal of Education and Development using Information and Communication Technology (IJEDICT), Special Issue on the Caribbean, August 2006. Vol 2, No.2. Berardi A., and Reynolds M. (2006). The ECOSENSUS Approach to Sustainable Management of the Rupununi, Guyana; A learning system linking people and the environment. Open Systems Research Group Seminar, 6th June 2006. Download Powerpoint Presentation. Swindell J., Lee J., and Berardi A.(2004). The potential of the GRID for small scale GIS use: a proposal from the UK.Fourth European GIS Education Seminar, Villach, Austria 02nd- 05th September 2004. Download full paper. Lee J., and Berardi A.(2004). GridletGIS - a White Paper.Download full paper. Ulrich, W. (2005). A Brief Introduction to Critical Systems Heuristics. 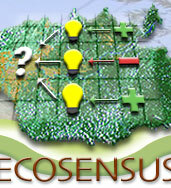 Original publication, Ecosensus website, 14 Oct 2005; updated version, 31 Aug 2006, 15 pp. Ulrich, W. (2002a). Critical Systems Heuristics. In: The Informed Student Guide to Management Science, ed. by H.G. Daellenbach and R.L. Flood, London: Thomson Learning, 2002, p. 72f. Ulrich, W. (2002b). Boundary Critique. In: The Informed Student Guide to Management Science, ed. by H.G. Daellenbach and R.L. Flood, London: Thomson Learning, 2002, p. 41f.